Wendy Knowler is arguably South Africa’s most experienced consumer journalist. She’s helped more consumers over her 20 year career in consumer journalism than she can count. But while known as a champion of consumer rights, Wendy is also known and respected by corporates for her fair, accurate and balanced reporting. Wendy embarked on her journalism career more than 30 years ago. During this time she’s covered politics, fashion and just about everything in between on a variety of media platforms. This includes a stint as a foreign correspondent, based in London in the mid-90s. 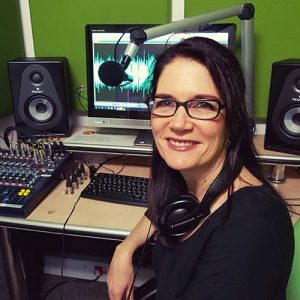 Since 1998, Wendy has specialised in consumer journalism, both in print for all South Africa’s major media groups, and on many radio stations. She currently writes the In Your Corner column for theDaily Dispatch and Weekend Post, and digital news platform TimesLive. She presents weekly shows on Cape Talk, 702 and East Coast Radio. Wendy served on the board of the Ombudsman for Short-Term Insurance from 2010 to 2015, as a consumer representative, the last year as acting chairman. Wendy has a lifelong love of cars. She’s test driven and reviewed cars for a number of publications for over 15 years. Wendy was also on the judging panel for cars.co.za’s inaugural Car of the Year consumer awards in 2016, and again for the 2017 and 2018 events. Over the years, Wendy’s won a number of media awards for her writing, including numerous Vodacom Journalist of the Year awards. Wendy Knowler is an accomplished public speaker. She speaks regularly to corporates, NGOs and consumer groups on the Consumer Protection Act and customer service issues. She also runs tailor-made customer service training workshops for corporates. “Cars.co.za’s professional relationship with Wendy Knowler dates back 3 years, to the birth of our annual Consumer Awards programme. Wendy’s track record as an experienced consumer journalist for many years prior made her stand out as a candidate, as she is so highly regarded in the 3 areas that are most important in our programme. These are; understanding consumers and their expectations, being highly experienced in the media space, and most importantly, understanding how expectations and demands have evolved in the era of social media.